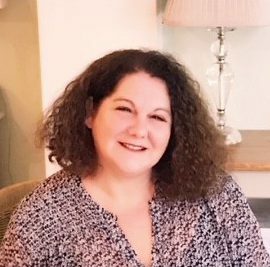 Alison is an experienced high value major donor, corporate, and special events consultant, with 9 years’ senior level experience working in the charity sector. She is a highly motivated and passionate business relationships and events manager, with a broad level of experience developed both within a global financial institution and national charities. Alison has a proven track record of delivering high quality fundraising and cultivation events, securing high value donations and providing exemplary levels of service to Major Donors, VIP’s, corporate partners and celebrities. She is a strong and effective communicator, with particular expertise in the start to end organisation and management of high level projects. Alison made a career shift to the not for profit sector in 2009, after a successful career within Corporate Banking, spanning 24 years. She launched her fundraising career at The Princess Royal Trust for Carers as Senior Fundraising Manager, Major Donors and Special Events, implementing and delivering a strategy for growth of income in excess of £800k, developing compelling cases for support and designing and managing high value fundraising events. From the PRTC she joined Special Olympics GB, to deliver their Celebrity Gala Dinner and develop three-year fundraising strategies for both Major Donors and Events. She was also a member of the corporate fundraising team and Special Olympics National Games Committee and worked alongside Bonnie on the identification and cultivation of Games Sponsors. Alison has successfully delivered the UK Youth annual Gala Dinner in 2017 & 2018 raising over £220,000 for the organisation and has also identified and cultivated high value donors and corporates to become long term supporters of their work. Alison lives in Kent and her passion is travelling the world. She has just returned from a career break during which she travelled around the Far East and also visited many countries in Europe. We would love to send you occasional email messages from Bonnie Clayton Consulting. We treat your details with care and will never sell them to other companies for marketing purposes.